Caring for a child with special needs or any family member with a disability or chronic illness is a full-time job. At Allcare & Allied Health Services LLC, we understand that it can be overwhelming and highly demanding. This is why we provide services that will relieve you of this burden of care and give you a wholesome interval of rest from physical, mental, and emotional exhaustion. Our caregivers take pride in providing respite care while you take a time off. At Allcare & Allied Health Services LLC, we provide short-term, temporary care to people with disabilities so that their families can take a break from the daily routine of caregiving. A period of respite may be a few hours to a few days in length. These short-term breaks can help to relieve stress, restore energy, and promote balance in your life. It also enables you to share the responsibility for caregiving while getting the needed support for yourself and loved ones. Our Respite Care Services provide family caregivers with an opportunity to take a break from their caregiver responsibilities, leaving their family member or loved one in the hands of a capable respite staff member. Our respite team is made up of caregivers who have experience in a variety of settings, including hospitals, retirement homes, and one-on-one home care situations. When you contact Allcare & Allied Health Services LLC, a representative will answer your questions and address any concerns you may have. We will match your preferences to our caregivers’ qualifications, to ensure a compatible match. 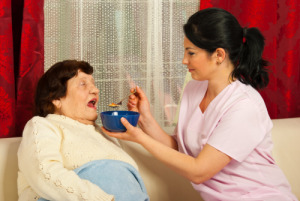 All our caregivers undergo thorough interviewing, testing, and screening prior to employment. Furthermore, our caregivers are regularly supervised and evaluated by our highly experienced and licensed team of Registered Nurses to ensure that our high service standards are maintained and not compromised. Get the rest that you need today. Contact us at 610-461-2071 or 267-699-8542.